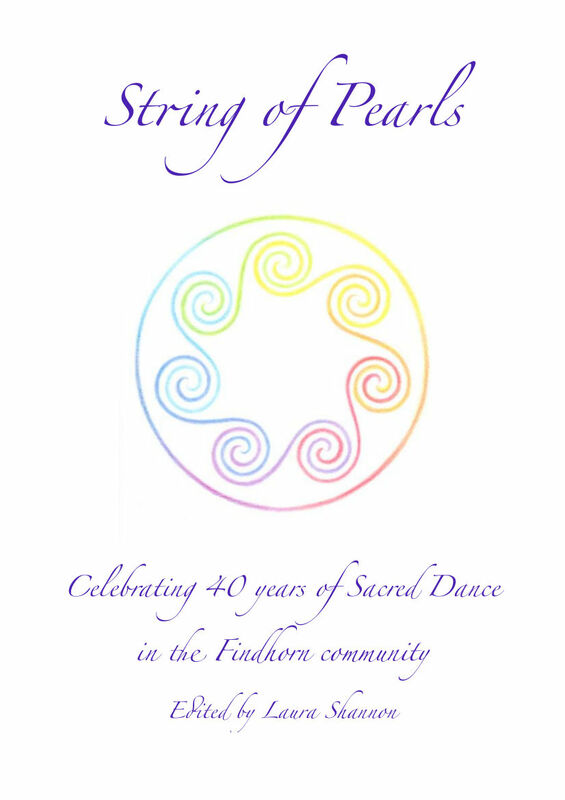 Over the past nine months many of you have responded to my calls to share our stories in celebration of forty of years of Sacred Dance in Findhorn. The book is now ready! Titled String of Pearls, published by Sarsen Press, this volume gathers together diverse voices of more than eighty dancers from over 20 countries, including many of the earliest pioneers of Sacred Dance and many residents of our community. Sundara Sofer designed and drew the exquisite cover mandala of seven interlinking spirals. Contributors include Friedel Kloke-Eibl, Maria-Gabriele Wosien, Bernhard Wosien, Rosie Turnbull, Barbara Swetina, David Roberts, Rosa James, Judith Bone, Peter Vallance, Susanne Anders Bartholomaei, John and Marina Bear, Evelyn ‘Evi’ Torton Beck, Beate Frey, Declan Kennedy, Pia Lamberth, France Lejeune Milchberg, Yves Moreau, Benedikta Ritgen,Sophia Hatch, Judy King, Gwyn Peterdi, Renata C. Ramos, Shakeh Major Tchilingirian, Eva Ullner, June Watts, Mandy de Winter and many more. The book is dedicated with love to everyone who dances, has danced, or ever will dance in the myriad graceful circles which are taking root and blossoming like beautiful flowers all over the world. It gathers pearls of wisdom from our collective past experience to serve as an inheritance for dancers of the future, and also aims to raise money for the Sacred Dance Festival Bursary Fund, to help future dancers come to our beautiful annual festival and help spread the seeds of Sacred Dance ever more widely. You are invited to be part of this collective gift to the future of Sacred Dance by buying a copy of the book (€12 + postage & handling: €6 in Europe, €7 for other countries). The book is 136 pages, and 100% of proceeds from the book go to support the bursary fund. Donations of any amount to the bursary fund are also very welcome. ‘String of Pearls offers a wonderful overview of our dance history and also conveys the meanings of the dance across time and space.